We are truly honoured to welcome back to the Landed imprint one of the originators and true players of the Detroit House music scene, Norm Talley. 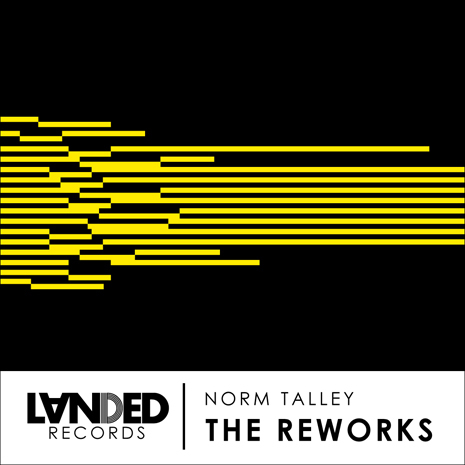 Over the last year, Norm has been working hard on a remix project of his 2012 Landed hit, Travlin – resulting in two stunning Dub/Techno/House classics, The ReWorks. A very special, black and yellow, limited edition 10″ vinyl cut of The ReWorks is being released to coincide with Record Store Day 2014 on April 19th. The two-tone coloured vinyl will only be available to buy in record stores as a celebration of Record Store Day. The full release will hit all major online stores two weeks later on black 10″ vinyl. So if you want the collector’s copy, get out and support your local record store! As with the original Travlin EP, Norm wrote and produced The ReWorks using his fully analogue set-up. NO computers, NO digital limiters, No gimmicks. Just pure, warm, deep Detroit goodness. And, as the perfect compliment, the EP has once again been mastered by Geoff Pesche of London’s legendary Abbey Road Studios using the EMI TG analogue system. The result – a quality cut sound, fully produced and mastered through an analogue process – is indeed a rarity these days. Starting off in true Talley style, Norm treats us to his trademark 909 drum vibes complete with a strong jazzy stab which will cut through the dance floors like a hot knife through butter. The tougher ReWork of Travlin, Part 1 engages you instantly, captivating the soul. A perfect ReWork of the original classic! Part 2 takes us on a strong, Travlin dub trip. Raw tight drums with a Deep grooving baseline work seamlessly with the warm 909 percussion and haunting Travlin string to make this dub version the perfect track to warm up any party. Another super ReWork of the original classic! This stand-out 10″ wax is a true Norm Talley collector’s item and is certainly a record not to be missed. ‘Part 2 is wicked! Thanks for sending. Classy as ever’. ‘Solid tracks, pt 2 the pick for me – bit more of a dancer’. ‘Part 1 for me ,yeeeaaaaaah’. ‘FANTASTIC! Review in May’s edition’ Support! ‘It’s all about Part 2‘ Support! ‘Sounding really great!’ Radio Support Confirmed.